Xiaomi is having a different business model for 2018 as the company is now gearing up for the release of Redmi 6 series in China on June 12. 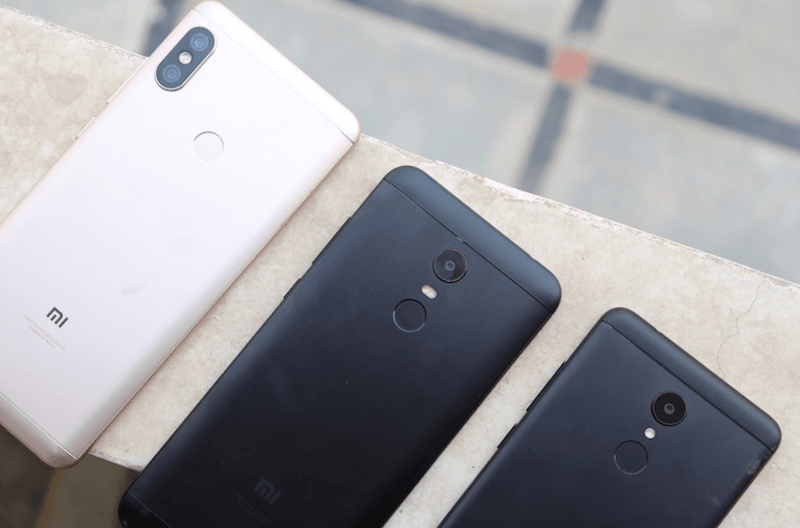 It has been just six months since the arrival of Redmi 5 and Redmi 5 Plus and Xiaomi is already launching their successors in the Chinese market, but these models may not be launched in India anytime soon as the Redmi 5 was launched in the country in March. 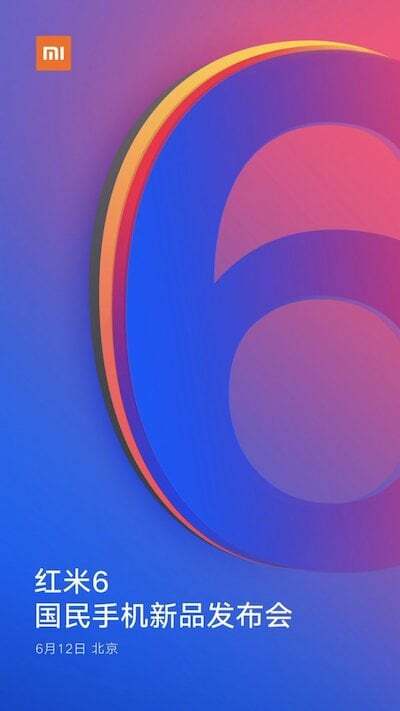 Xiaomi has posted an official teaser of the Redmi 6 series launch on June 12 in social media platform Weibo. Just like the Redmi 5 series, the company might unveil two products on the same day- Redmi 6 and Redmi 6 Plus, both sporting notch displays on the front, as spotted on TENAA a few days back. Maybe, we will get to see the Redmi 6A as well on the same day. Right before Xiaomi’s major launch on May 31, a slew of Redmi smartphones sporting a notch passed TENAA certification, and everyone expected the devices to be launched at the same May 31 event. But that didn’t happen as Xiaomi is now launching them on June 12. The purported Xiaomi Redmi 6 smartphone with model number M1805D1SE received TENAA certification on May 28. The listing also revealed the complete specifications of the device. The Redmi 6 will flaunt a 5.84-inch Full HD+ display on the front with an aspect ratio of 19:9 and 2280 x 1080 pixels resolution. This will be the first Redmi smartphone to sport a notch. The listing also revealed the phone will come with a 2.0 GHz processor and yes, it could be the Snapdragon 625 chipset. The Redmi 6 will arrive in various RAM/storage options as we already saw with several Xiaomi smartphones in the past. Furthermore, the device will boast dual cameras at the back- a 12MP shooter paired with a 5MP shooter. 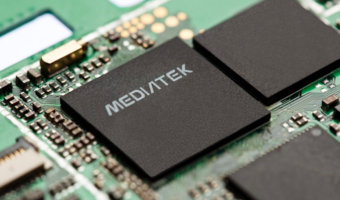 The phone will have a 3900mAh battery. It’s also said that this phone could be the bigger Redmi 6 Plus or Redmi 6 Pro, going by the specifications as another Redmi smartphone without a fingerprint scanner was spotted on TENAA, but it could be the Xiaomi Redmi 6A. So the chances are that Xiaomi will be unveiling three smartphones on June 12- Xiaomi Redmi 6, Xiaomi Redmi 6 Plus or Redmi 6 Pro and the entry-level Redmi 6A, which also received TENAA certification very recently. The Redmi 6 Plus or 6 Pro could have the dual rear cameras, while the Redmi 6 will lose out on it, but Xiaomi is expected to upgrade the processor, but Qualcomm is yet to announce a new Snapdragon 400 series chipset. It’s interesting to see what upgrades will Xiaomi be adding to the Redmi 6 devices when compared to Redmi 5 smartphones. Only battery capacity in Redmi 5 is blunder!!!! !Otherwise fine phone in my opinion!!!!! He is saying abt redmi 6 and u r taking abt redmi 5 u literally didn’t read his comment and made a blunder.